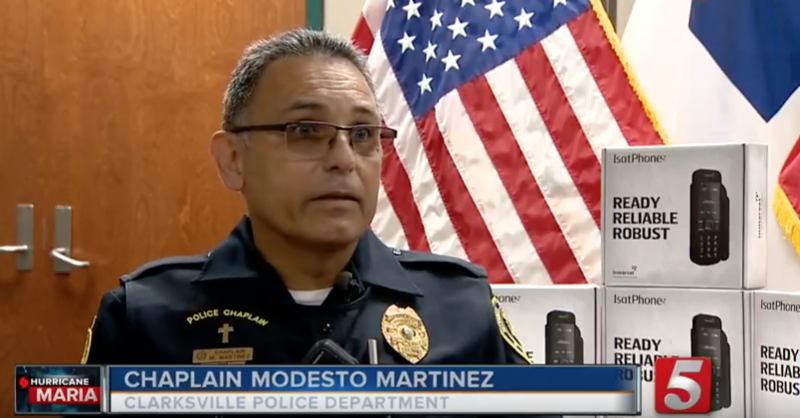 "We still have a lot of families who haven't been able to talk to their loved ones," said Chaplain Modesto Martinez, Clarksville Police Department. Martinez says he realized just how bad the communication was when he couldn't contact his mother after the hurricane for five days. "In my case, my mother lives pretty close to a river. I was eating my nails the first fives days. I didn't know if she was OK, she's by herself," said Martinez.